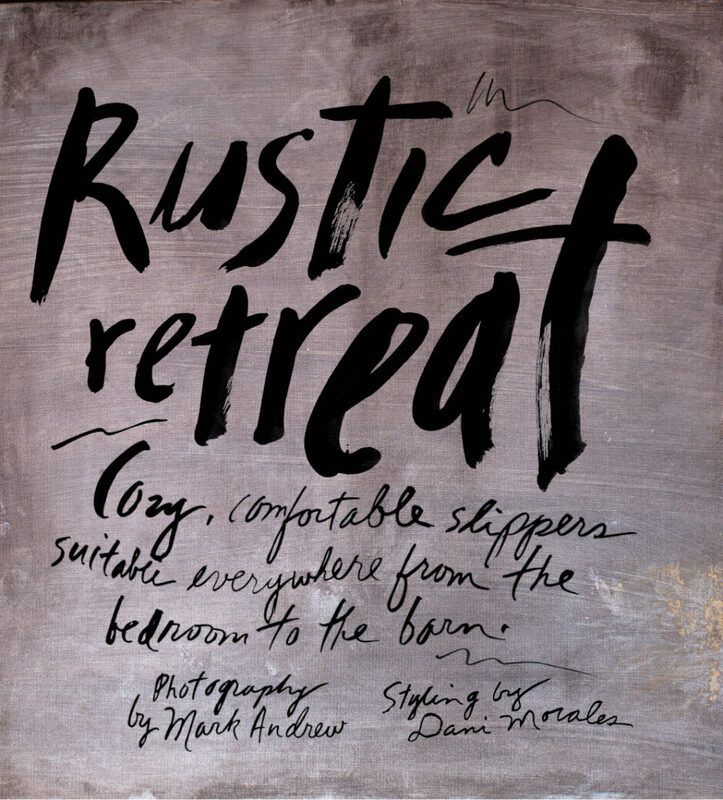 Photography by Mark Andrew. Styling by Dani Morales. Stylist assistant: Kiyana Panton; grooming by Andrea Saavedra; model: Enzo Brumm/Wilhelmina Models. 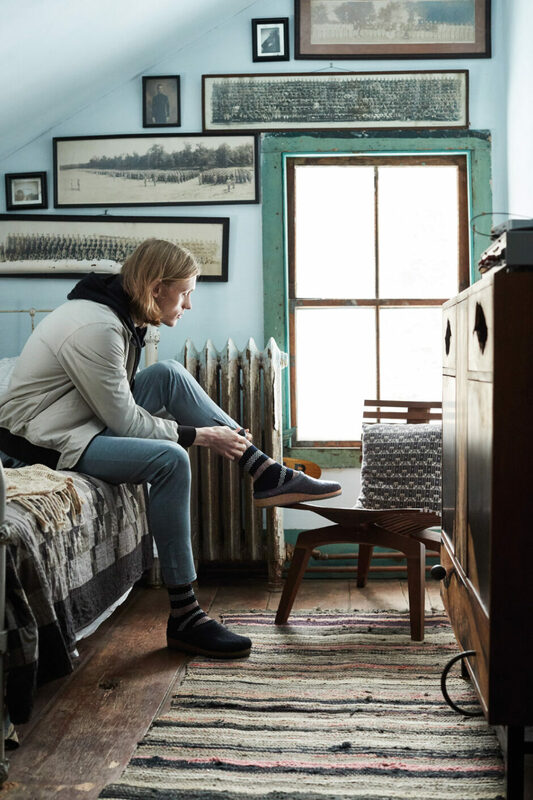 Boiled wool booties by Glerups, Scotch & Soda sweater, Nanamica trousers. 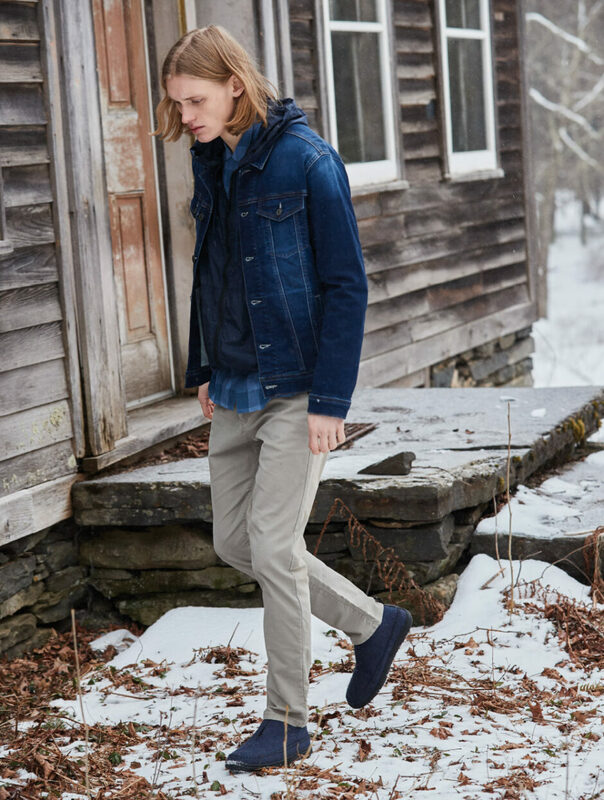 Slip-ons by Stegmann, Devereux pants, Scotch & Soda striped socks and hoodie, jacket by Life After Denim. 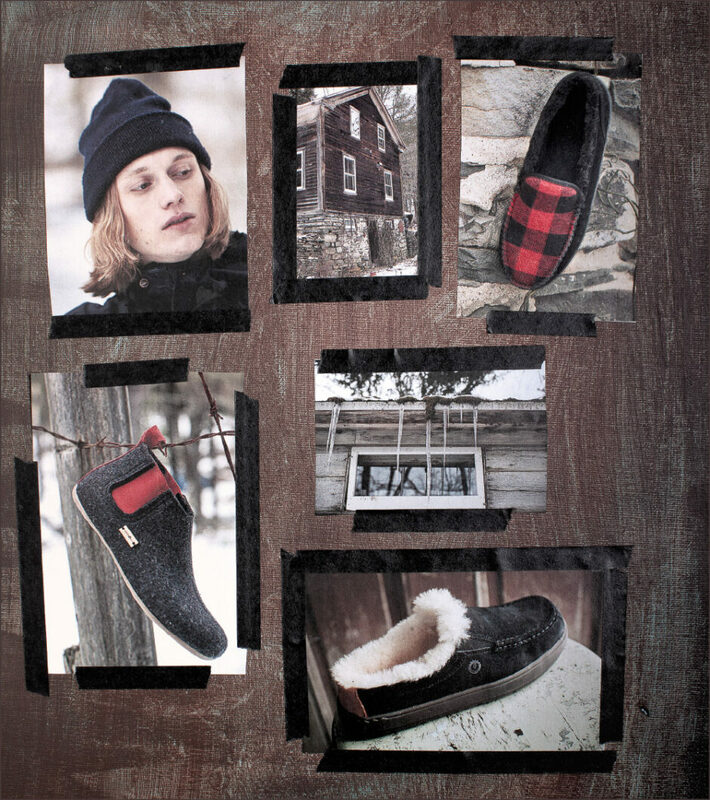 Clockwise from top: Sorel bootie, slip-on sneaker by Teva, Minnetonka slide, Asportuguesas boot. From top: Mocassin by Bearpaw, Cloud Nine Sheepskin bootie. 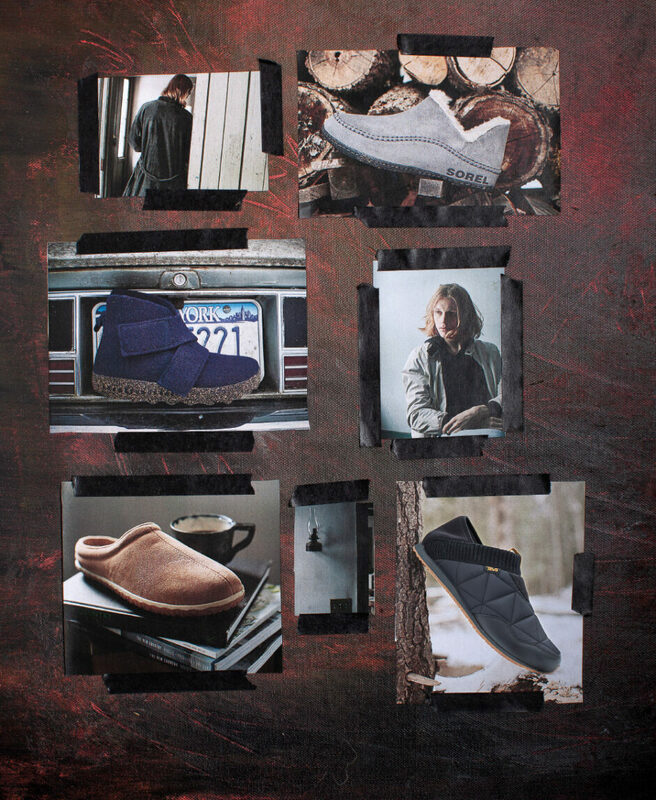 Clockwise from top: slipper by Old Friend Footwear, Ulu slide, Haflinger bootie. Pendleton booties, Mavi Jeans denim jacket, Nanamica windbreaker, shirt by Krammer & Stoudt, pants by Scotch & Soda. 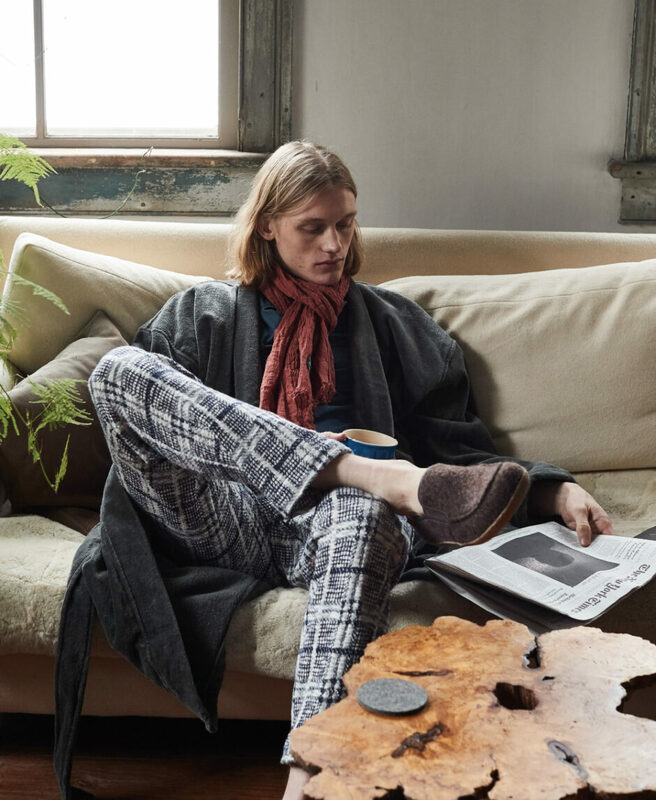 Giesswein loafer, Scotch & Soda scarf, robe by Polo Ralph Lauren, Krammer & Stoudt pants. 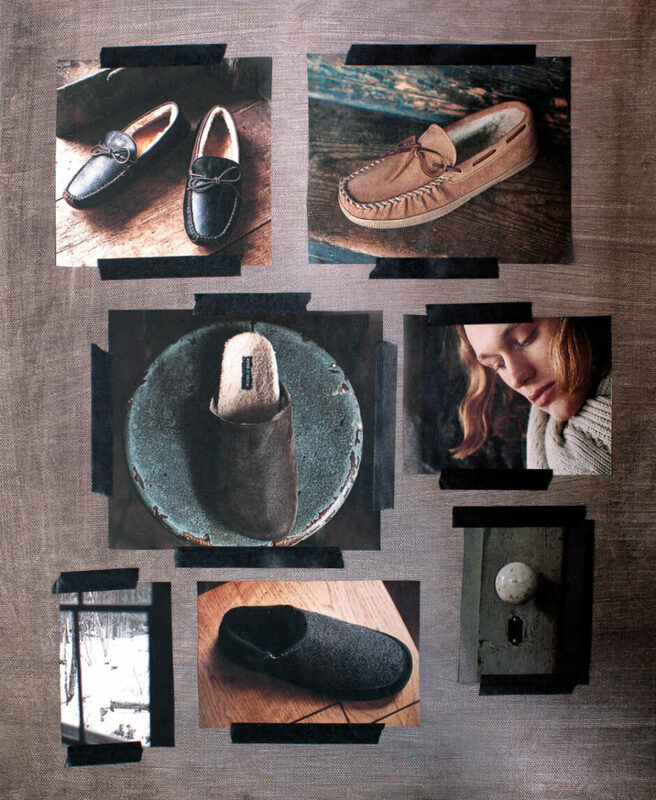 Clockwise from top left: Driving mocs by Trask, Hush Puppies moccasin, slide by Ross & Snow, Lamo slip-on.